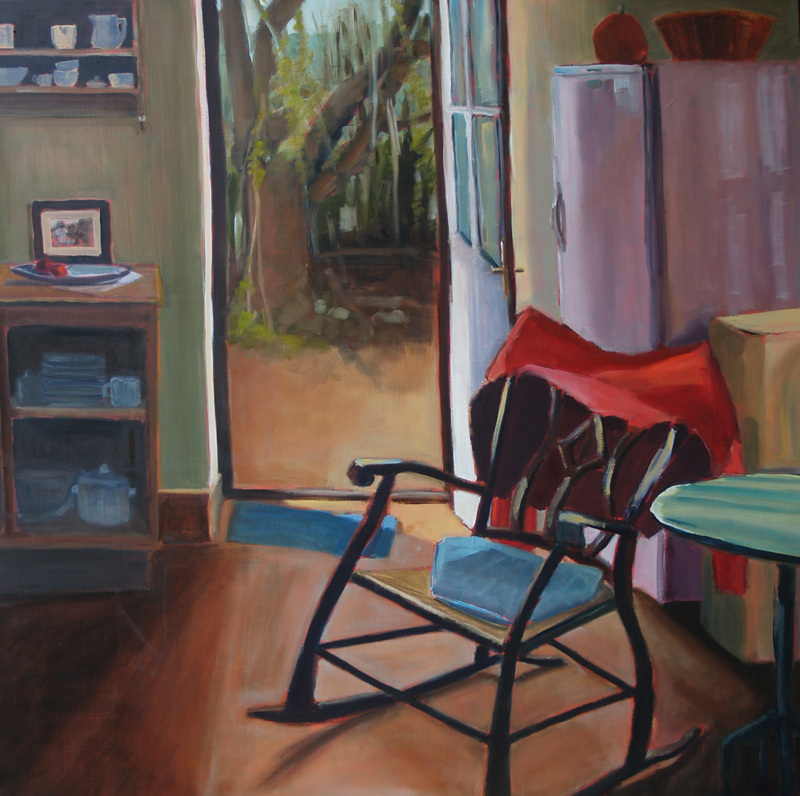 These paintings were on exhibit at Studio Eleven in Lexington, Virginia from September 7 through October 27, 2012. 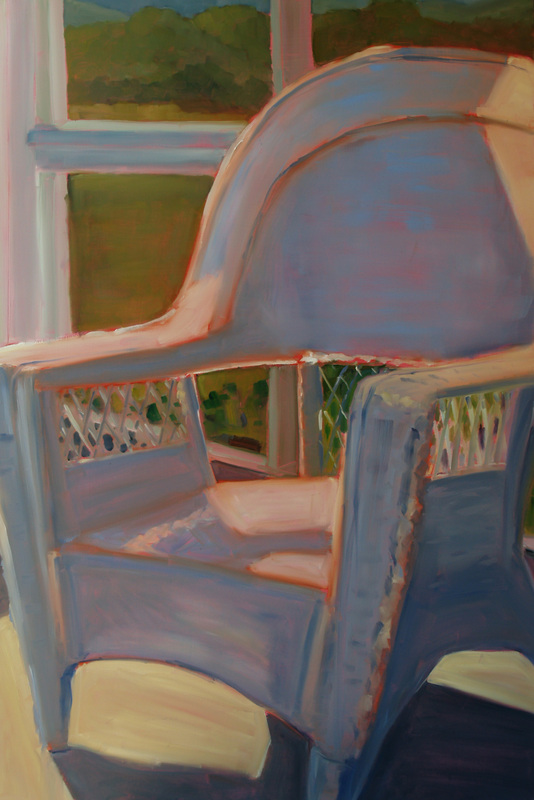 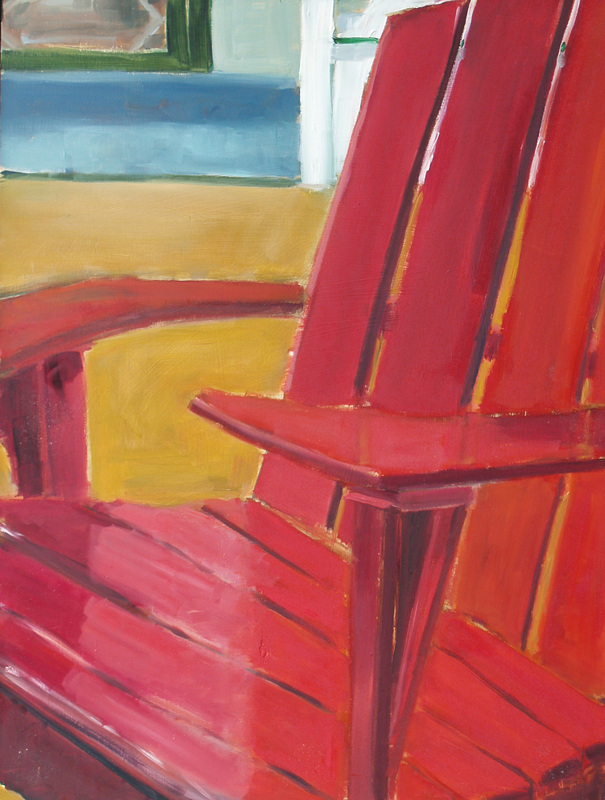 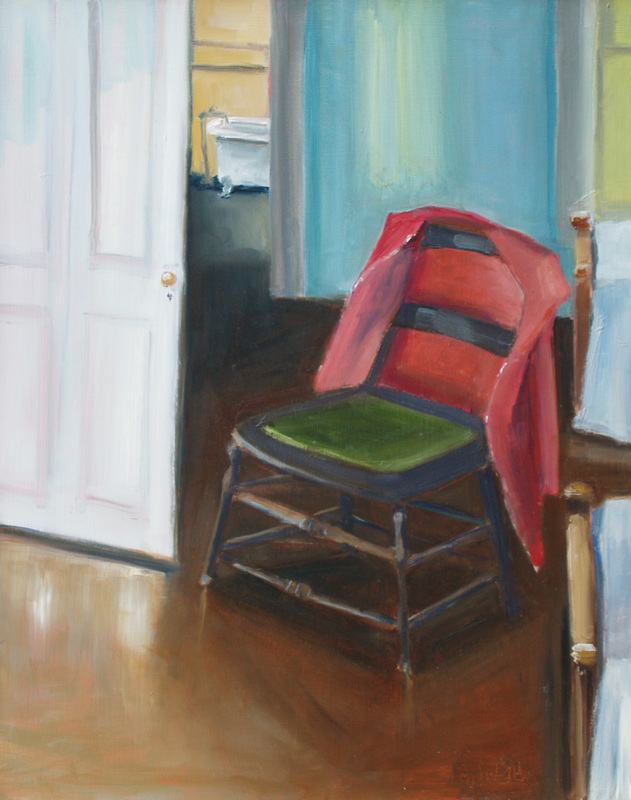 The paintings are all of chairs in their various guises and habitats. 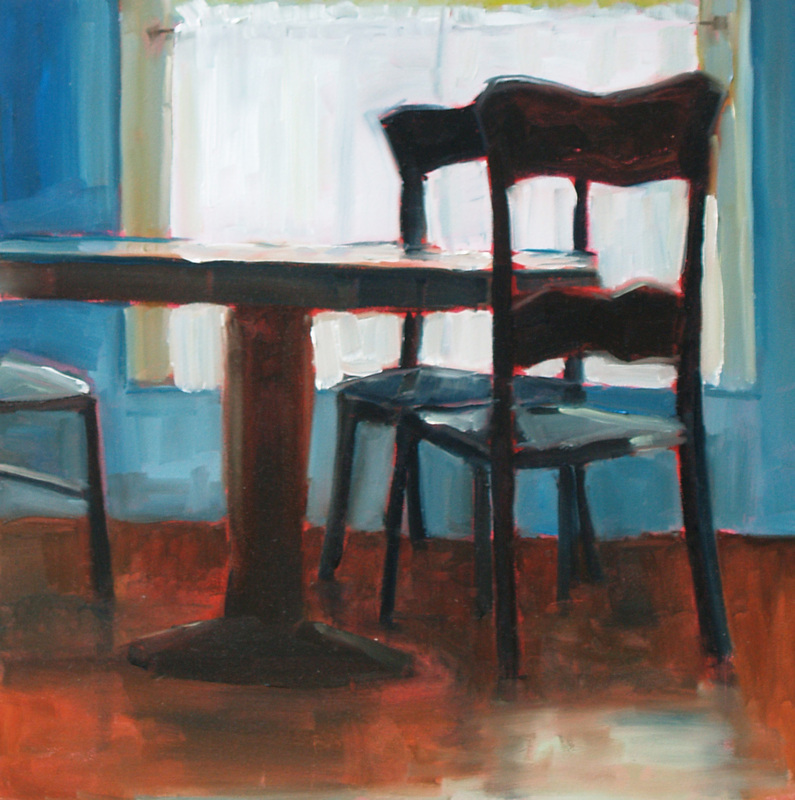 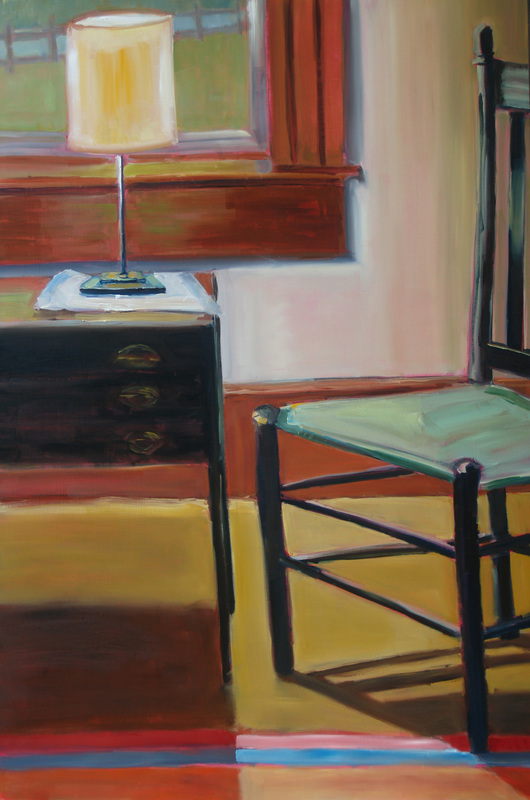 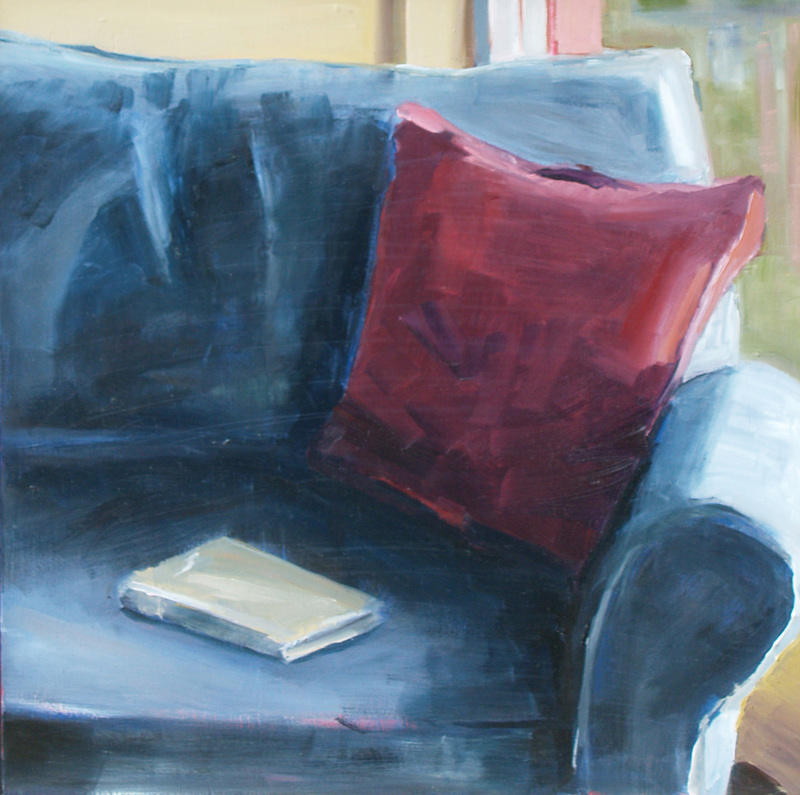 I have found myself drawn to chairs and reflections on patience and waiting and absence. 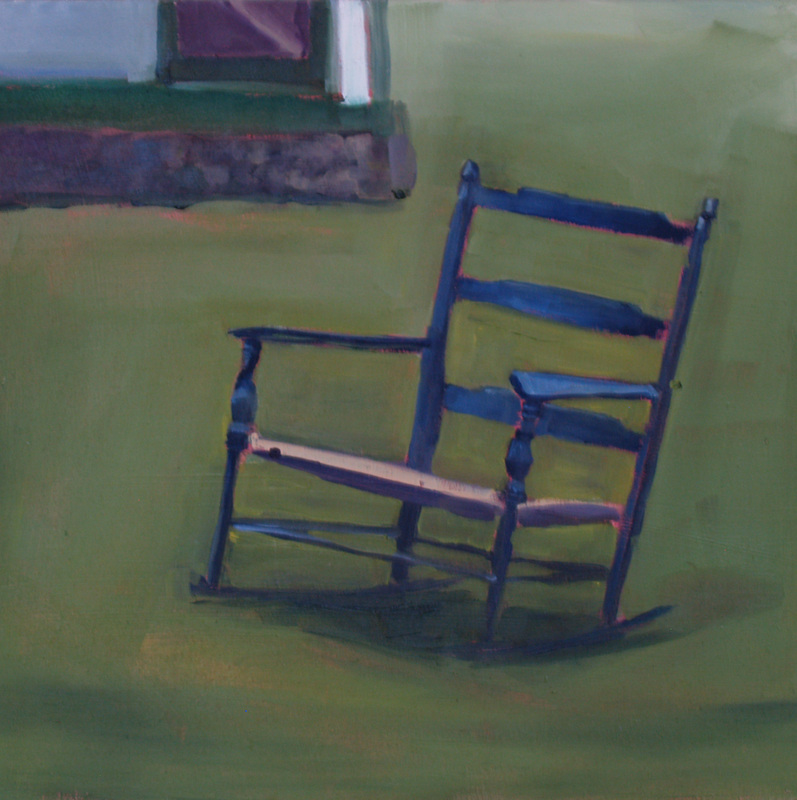 The Civil War song, “The Vacant Chair,” has long been important to me in thinking about loss and what remains: We shall meet, but we shall miss him, there will be one vacant chair. 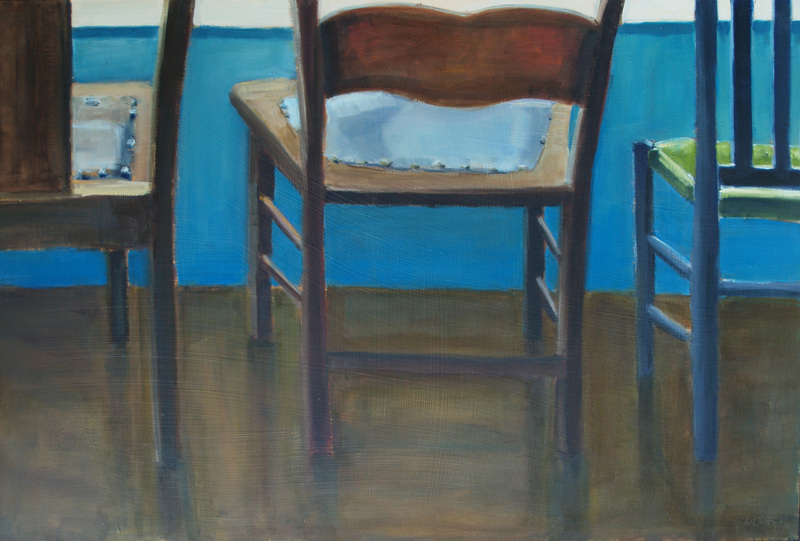 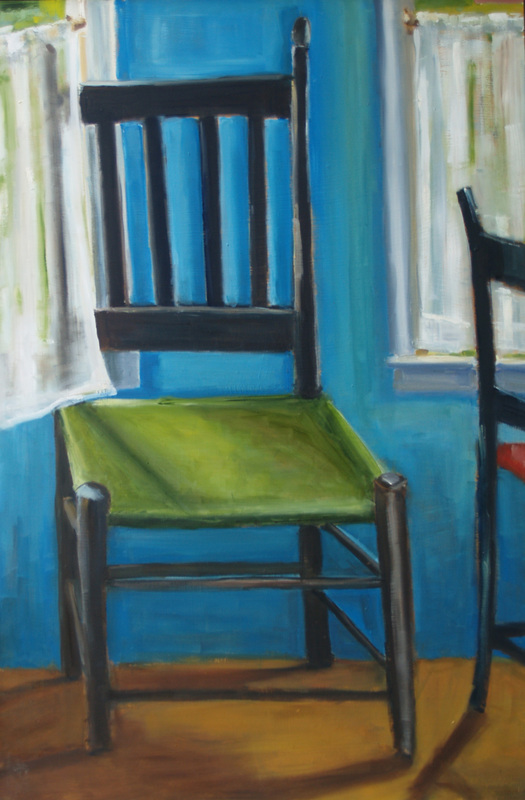 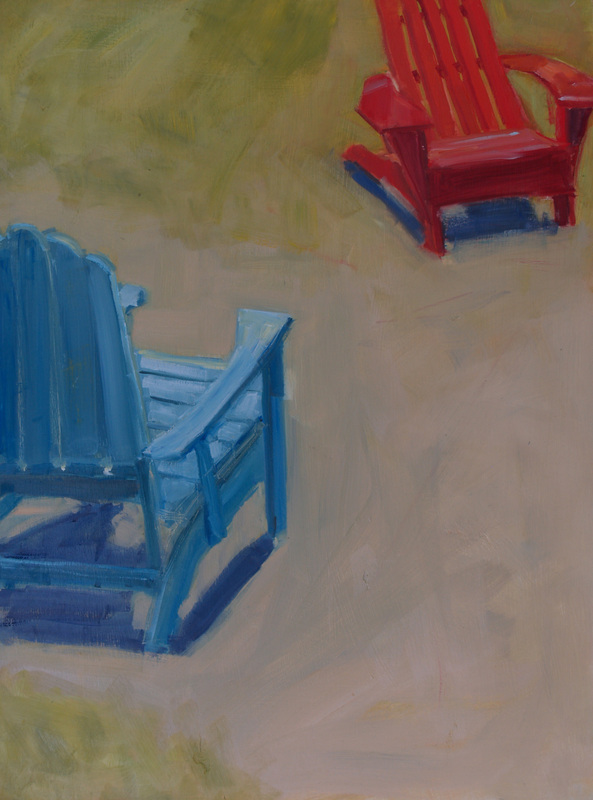 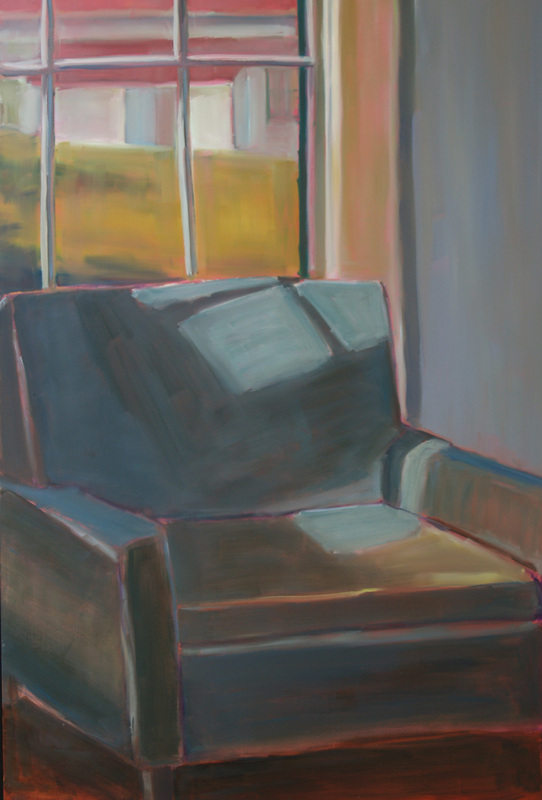 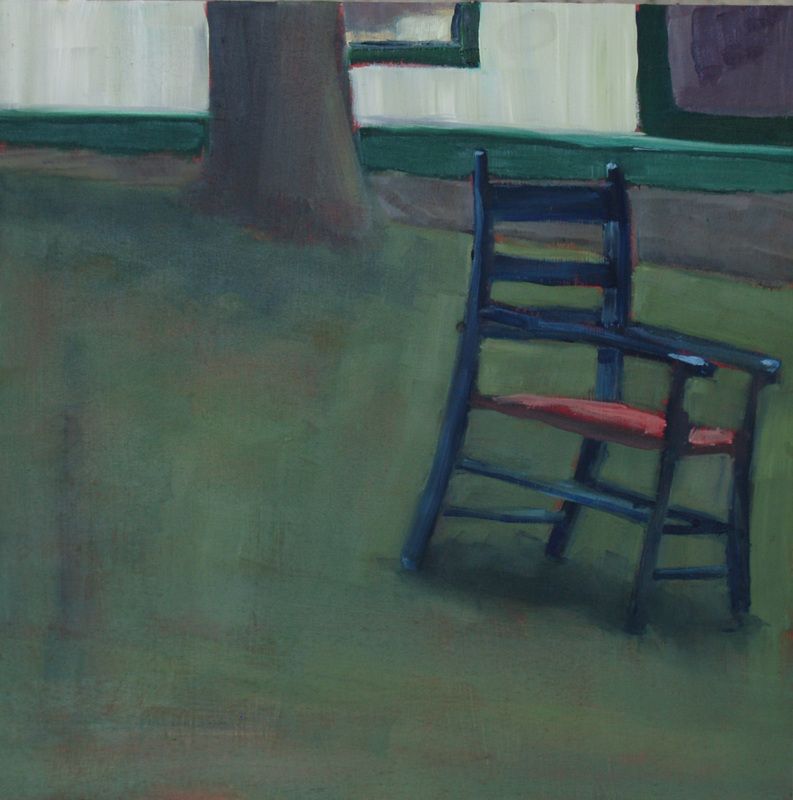 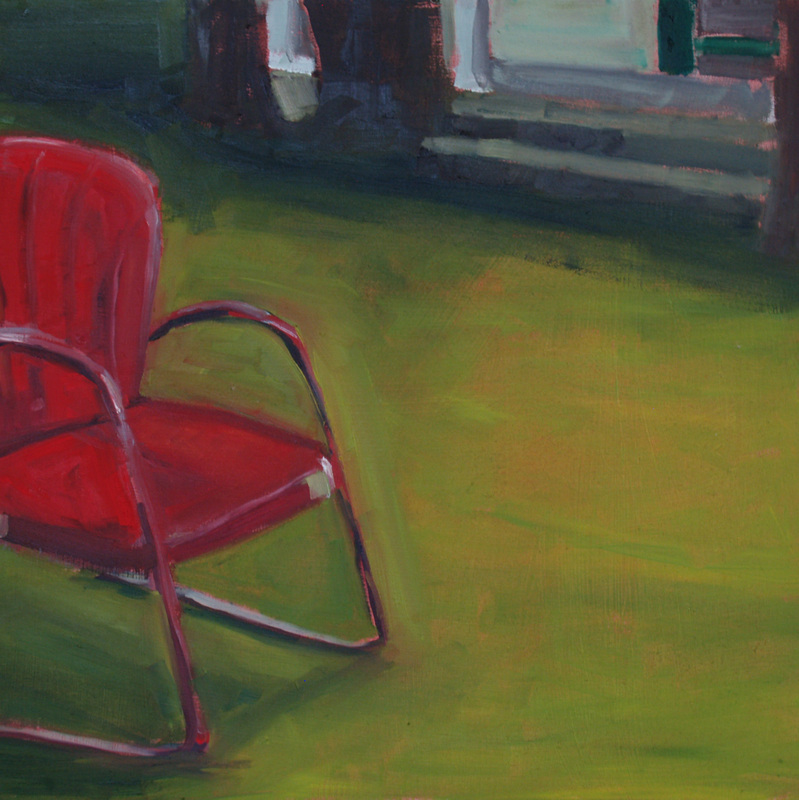 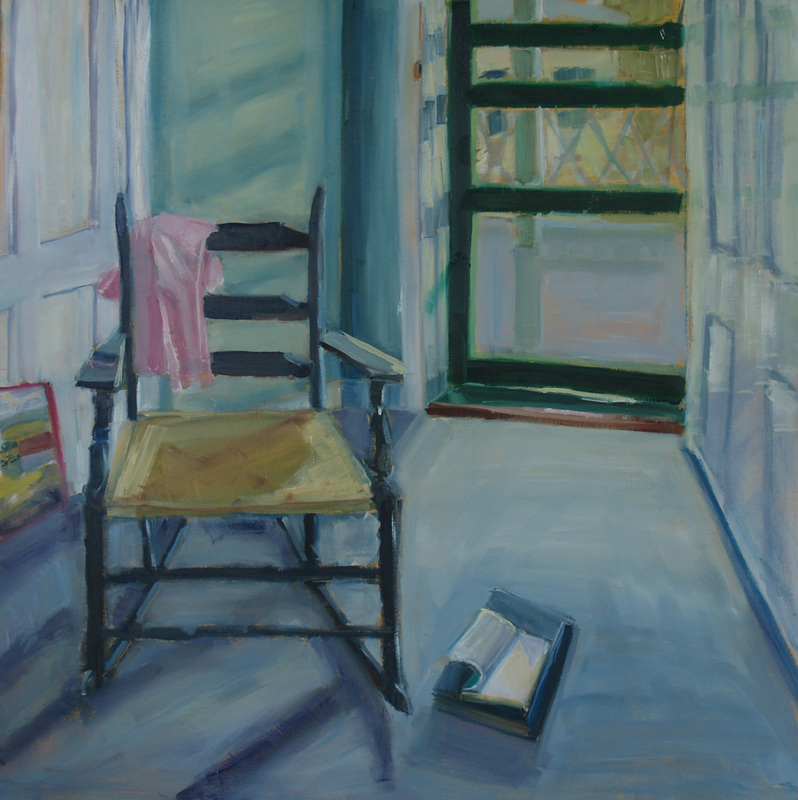 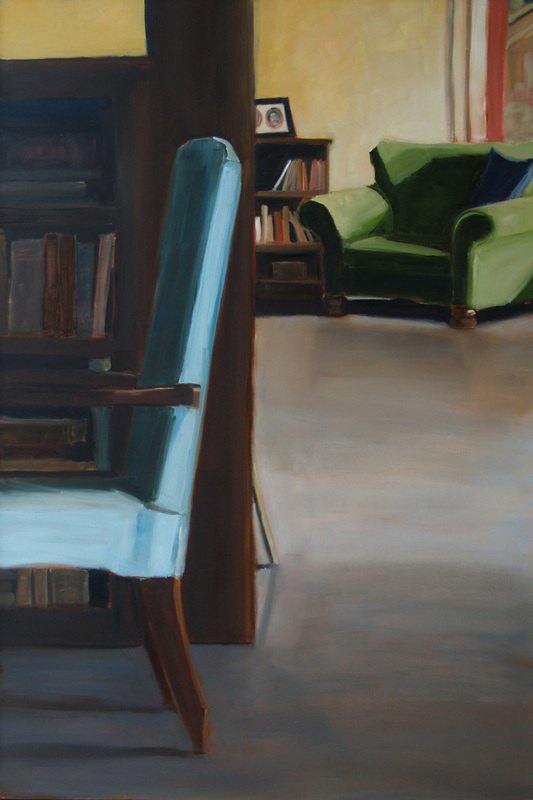 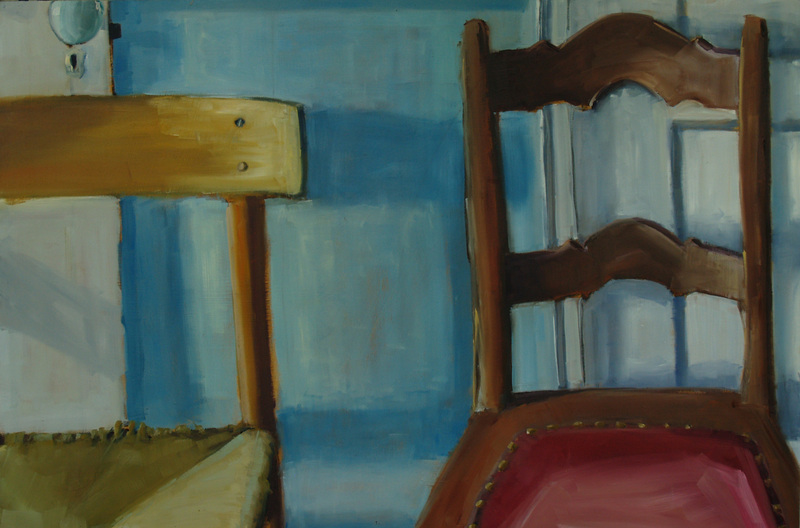 While working on these paintings at Nimrod Hall, I stumbled upon a poem by Kay Ryan, which says, “Who would have guessed it possible that waiting is sustainable—a place with its own harvests.” To me, these chairs seem settled in for the long haul. 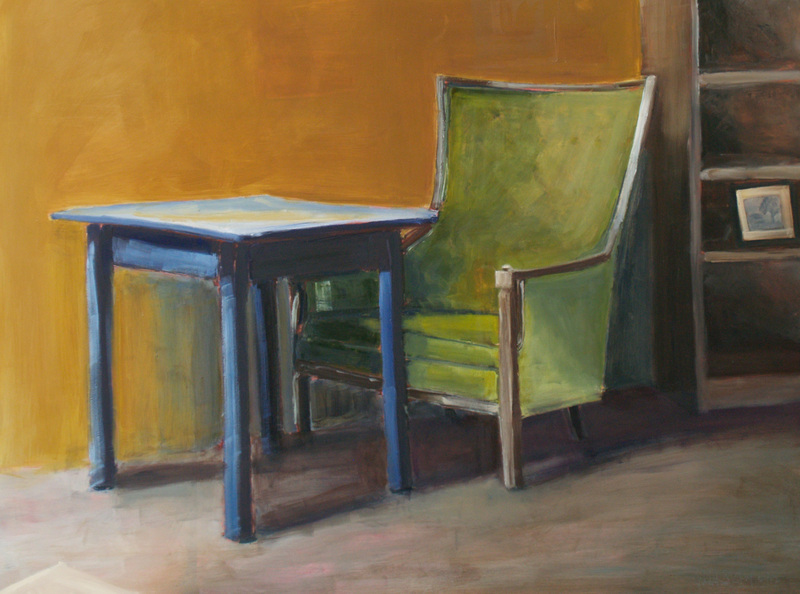 They both invite one to sit and evoke the absence of the one who has already risen.